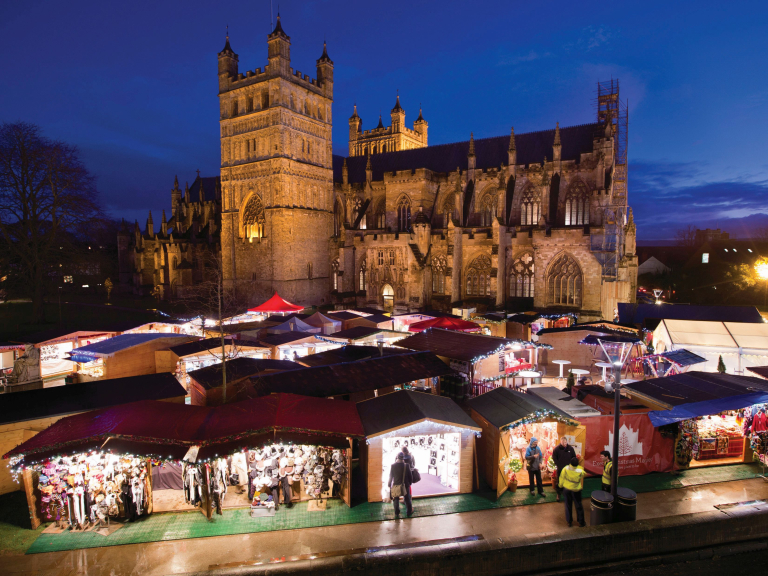 It has been confirmed this afternoon that the 2016 Exeter Christmas Market will go ahead. Included in this year’s event will be a special chalet for the use of independent traders in the cathedral area who have been closed since the fire took place. The Market starts on Saturday 19 November and runs until Sunday 18 December. Exeter City Council, Exeter Cathedral and Market Place (operators of the market) have been working tirelessly with safety advisors over the past number of days to establish a safe and appropriate way forward. Given the extent of the damage caused by the fire, which started in the Cathedral Yard area of the city, last Friday, the layout of the market has had to be reconsidered. Following the submission of new layout plans that take into consideration a safety zone in place for the protection of the public, the revised layout has been passed by Planning at Exeter City Council. The market, which includes 86 hand crafted wooden chalets, offers continental and local artisan products and two bars, will be located on Cathedral Green and at the front of the Cathedral itself. A chalet that was previously used on a rotational basis by businesses from Fore Street has now been donated for use by independent retailers in the Cathedral area, who have been closed since the fire took place. For up-to-date information about the Christmas Market, follow the official Facebook page at Exeter Christmas Market.